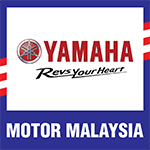 Hong Leong Yamaha Motor Sdn Bhd.(HLYM)(Co. no:46829-P), a company incorporated in Malaysia in 1978, is a joint venture between Hong Leong Industries Bhd and Yamaha Motor Co., Ltd , Japan. Therefore, the YSRS programme organized by Hong Leong Yamaha Motor fully complements the Government’s initiative to further promote riding safety. The YSRS programme is divided into two sessions, one on theory and the other on the practical usage of the motorcycle. The target audience are Factory workers, College & University students. Fulfill compliance obligations including relevant environmental legislation and corporate requirements. Conserve the natural resources and prevent pollution from significant environmental aspects. Continual improvement of our environmental management programmes by setting and reviewing environmental objectives and targets periodically. Provide and maintain a safe and healthy workplace for our employees. Develop and manufacture products for customer life improvement and in harmony with nature. Promote awareness by communicating this policy to all our employees and stakeholders. We are committed to provide high quality products and services at competitive prices. To strive for continual improvement and cost effectiveness through quality and productivity programmes. Customer & Community Satisfaction (CCS) is a programme incorporated into the business practice of Hong Leong Yamaha Motor to be Customer Centric Company in providing Quality products and Excellent Customer Service in every aspect of its operation. In line with Government’s aspiration in reducing road fatality rate towards achieving Zero-fatality amongst road-users, we in Hong Leong Yamaha Motor have embarked on the BKRSC (Balik Kampung Road Safety Campaign) annually, since 1999, under the Corporate Social Responsibility (CSR) banner to educate the motorcyclists on road safety through Free Maintenance 15-point check; Free Helmet exchange & Free Safety vest distribution and YSRS (Yamaha Safety Riding Science) clinics to end-users all brands of motorcycles.